Brenntag Canada's locations are proud to offer the broadest product portfolio in the industry. They work closely with customers to service their chemical requirements in a timely and efficient manner. Constantly striving to provide quality materials from the most reliable sources. 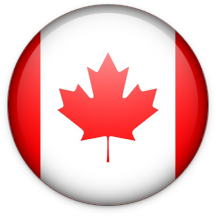 Brenntag Canada maintains inventory in stocking locations across Canada to meet our customers' needs. Competitive pricing, quality assurance, on time delivery, technical support, all of these make Brenntag the market leader in full-line chemical distribution. Our regional locations offer you the best technical support and competitive edge to make you a leader in your industry. Modern warehouses, tank farms, drumming and blending facilities and e-commerce, as well as a total focus on quality and service, makes us your ideal partner. Large or small, our business depends on your success. Orders are placed through each regional location. If you are interested in placing an order, please contact the the office closest to you.